Allscripts announced on Thursday after stock markets closed that it is buying rival McKesson’s health IT unit. 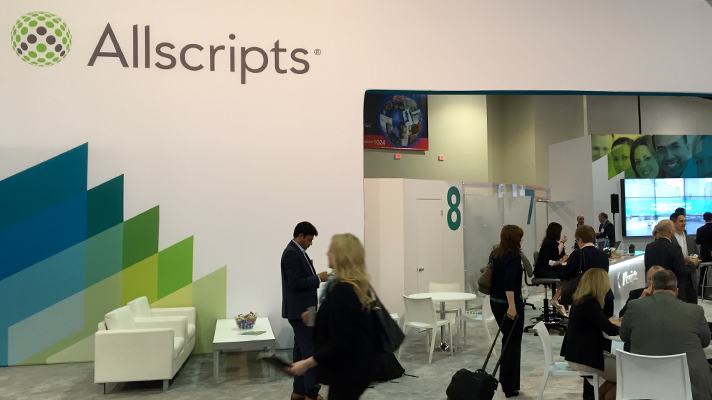 For $185 million in cash, Allscripts gains the product portfolio McKesson calls Enterprise Information Solutions consisting of the Paragon EHR, Star and HealthQuest revenue cycle technologies, OneContent content management tools as well as Lab Analytics and Blood Bank. Allscripts CEO Paul Black said that adding McKesson’s products will enable the company to increase its scale and drive innovation. “This transaction is expected to directly benefit existing clients and shareholders, as well as the Enterprise Information Solutions clients and team members we’ll welcome,” Black said in a statement. To that extent, Allscripts said it will continue developing McKesson’s Paragon for small hospitals and target its own Sunrise EHR at larger systems and health networks. The combination of the two products, Allscripts said, will double its footprint among U.S. hospitals. Allscripts will invest in and continue to offer Paragon as the integrated EHR and revenue cycle management solution for the small hospital market segment, while Allscripts Sunrise will continue as the primary platform for larger institutions, typically with highly complex service line needs. After the proposed transaction closes, the combination of Paragon and Sunrise hospitals will double Allscripts current EHR hospital client count in the United States. McKesson earlier this year sold off its technology business to Change Healthcare. The company retained a 70 percent ownership in Change, but plans are to spin Change off as its own public company in the near future.